Saudi Arabia is home to two of the three holiest sites in Islam. Of the trio of holy sites venerated in Islam, two are located in Saudi Arabia. These two sites are Mecca, the birthplace of Islam, and Medina, the final religious base and resting place of the prophet Muhammad. Although Islam originated in Mecca, it flowered and grew from Medina after the early community of Muslims shifted there. 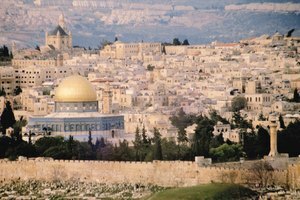 The third holy site, the Al-Aqsa mosque, is located in Jerusalem and is venerated as the place where Muhammad made his night journey to heaven. According to Islamic tradition and Quranic history, it was in Mecca that Allah instructed Ibrahim to build the house of God; the space that is now referred to as the Kaaba. 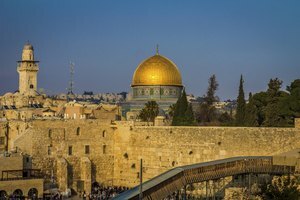 After building the house, the tradition states that the angel Gabriel came and instructed Ibrahim (Abraham in the Old Testament) to encircle the Kaaba seven times, thus establishing the tradition of circumambulation during the Muslim religious pilgrimage to Mecca. Mecca is also venerated as the site where the prophet Muhammad received the revelation of the Quran, known to Muslims as the word of God, in a cave just outside the city. 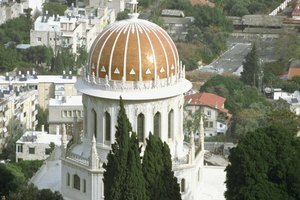 The revelation established the foundation for the religion of Islam and Muhammad as God’s prophet. Every year during Ramadan thousands of pilgrims travel to Mecca on Hajj, the religious pilgrimage Muslims are required to make at least once in their lifetime. The pilgrimage is one of the five pillars of Islam, as it signifies the manifestation of Islamic faith and unity. During the Hajj, pilgrims gather in Mecca to venerate the Kaaba, the site believed to contain the essence of God, and perform rituals evocative of the rituals performed by the prophet Muhammad during his last visit to Mecca. 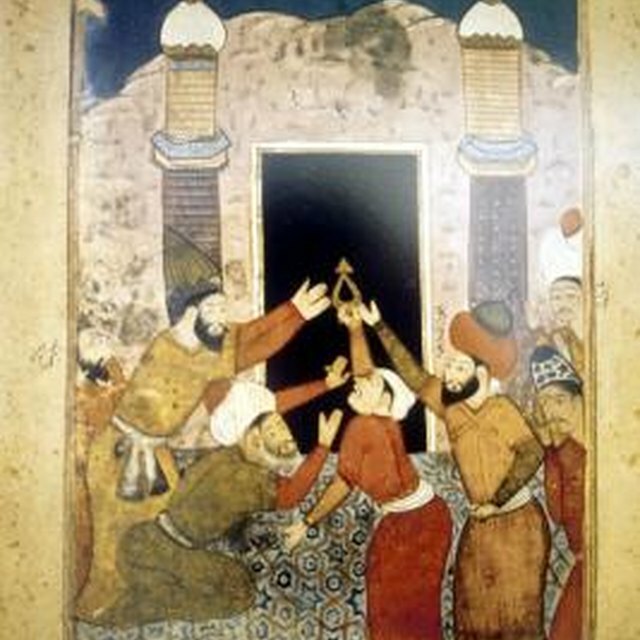 After establishing a small community of followers, the prophet Muhammad left Mecca for Medina, as the Meccan leaders at the time had begun to persecute Muhammad’s new religious movement. 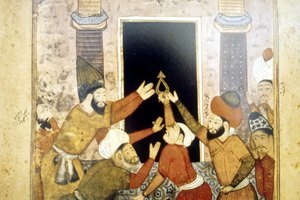 As his Islamic following grew, Muhammad established himself not only as a religious power, but as a political power by extending Medina’s economic influence. 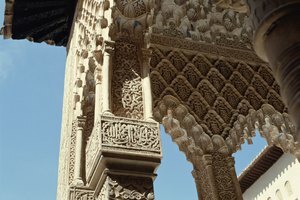 Medina is venerated as the second holiest site of Islam, as it is there that the early Muslims grew and prospered. Additionally, it is in Medina where the prophet Muhammad died and was buried. Between the conservative Wahhabi movement against Sufi shrines in the 1920s and the more recent governmental attempts at modernization, it is estimated that approximately 300 historical buildings have been destroyed in Saudi Arabia. In an attempt to fill the high demand for new accommodation for pilgrims visiting Mecca on Hajj, the Saudi government has been clearing away historical sites to make room for new construction. The house of the prophet's wife Khadija and the mosque of his daughter Fatima, both of which had become shrines, are among the sites that were destroyed during the Wahhabi movement out of fear they might lead to polytheistic practices. Alexander, Rachel. "Important Muslim Holy Sites in Saudi Arabia." 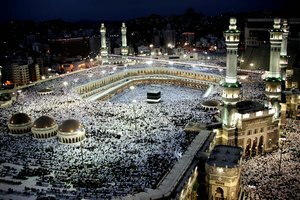 Synonym, https://classroom.synonym.com/important-muslim-holy-sites-saudi-arabia-9052.html. Accessed 18 April 2019.